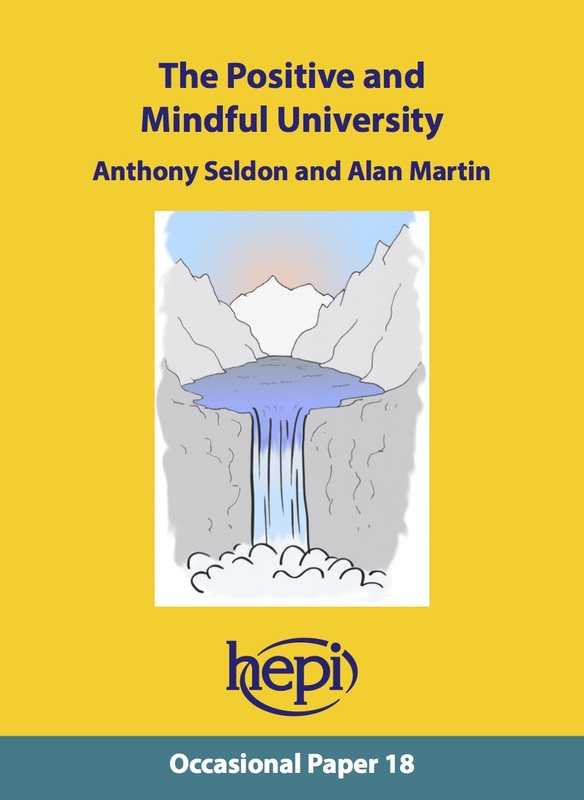 In this HEPI Occasional Paper, Sir Anthony Seldon and Dr Alan Martin explore the concept of a ‘positive university’ by looking at the approaches used by positive psychology and mindfulness. With increasing concern about the health of students and staff, this report considers the importance of a proactive approach to mental wellbeing. Exploring best practice from the United States, Australia and Mexico, as well as celebrating the work already being done in UK higher education institutions, the pamphlet makes practical recommendations for students and staff as well as highlighting ways to improve students’ transition between school and university. ← A crisis in the creative arts in the UK? It’s a shame the paper didn’t focus more on the work of Carol Dwek, growth mindset and strengths based development. These approaches came out of Seligman and I’d argue are more recent and relevant to the delivery of education and to improving outcomes for students – many of our primary schools and secondary schools are using a growth mindset approach to learning and development with some success. Many companies, private and public, are using growth mindset to develop their employees.